So I sat down to compile my thoughts in answer to a question someone asked on Facebook: “What makes a good church song leader?” What should their attitudes and actions be? I was going to make a useful list to share, but soon realised that first I’d better explain why I’m talking about “song leaders” and not “worship leaders”. The latter term is probably the most widely used across the globe to describe those people who sing upfront in church. But is it the most helpful title? I think “song leader” is much better and my reasoning could be pretty significant in shaping the thinking and actions of any “song” or “worship” leader. “Worship” is all of life, 24×7. To see only the singing, or even just the Sunday gathering, as “worship” is to deny what Romans 12:1 calls us to do in giving our whole lives to Christ: “Therefore, I urge you, brothers, in view of God’s mercy, to offer your bodies as living sacrifices, holy and pleasing to God-this is your spiritual act of worship.” Cleaning the toilets, leading a bible study, going to work, encouraging others, praying to God privately, serving coffee, serving your family, controlling your anger – all these are part of our worship of our Lord and Saviour Jesus Christ. Jesus is in the presence of the Father and we are in Him. We are in His presence all the time, wrapped up in Christ, united with Him. We don’t need a worship leader to lead us into his presence, or into the feeling of being worshipful. Christ is with us, we are with Him. (from “With One voice: Discovering Christ’s Song in our Worship” by Reggie Kidd, 2005). Couple all this with the fact that we collectively are the temple of living stones, the place where the praises of God resound, and you may see why attaching the word ‘worship’ to such a narrow slice of our Christian lives (singing together on Sunday) may not be the best idea to perpetuate. There are so many great reasons to sing together as the body of Christ, as I have written about before (see https://sevennotesofgrace.com/2013/05/07/sharing-the-rich-indwelling-word-colossians-316/). Promise I will get back to that list about song leaders soon, but at least you may now understand my choice of words. * My church is part of the Presbyterian Church of Queensland, but you will find the term ‘song leader’ commonly used with Sydney Anglicans and some other denominations across Australia. I’d be interested to know if the term is used in the USA (where I know the majority of my lovely readers are from) so please feel free to share your thoughts! This entry was posted in Best Christian musicians, Encouraging others, Glorifying God, Ministry training and tagged Church music, Don Carson, joy, theology, worship. Bookmark the permalink. I love what you have said here. I completely agree that our lives are the expression of worship God is looking for in each of us. I love that Jesus is our worship leader in this act of spiritual worship. Yet I have been thinking recently that we need another word. I agree that there is a worship that is all about our whole life – more than the sermon and offering and singing. But there is a purpose to our singing as well, and it is so much more than just singing – which is why i resist “songleader” to a certain extent. I see that the team at the front of the body, ideally, helps the congregation to enter His gates with thanksgiving and leads into his courts with praise. When this process precedes the preaching of the Word, men and women are more able to receive from the table of the Master. If you feel my comments detract from your message feel free to delete. This has just been on my mind lately, and your post helped me coalesce the ideas. Thanks Ben, I am most happy to leave your comments here….good for us all to keep thinking on this. Just heading off to Good Friday celebration. Will think more on this later. Blessings. “Song leader” has been used for decades among Churches of Christ. We sing a cappella, and a song leader has always played a significant role “Worship leader” as a replacement for “song leader” has emerged recently in our churches as well, most often in churches where the “worship leader” is accompanied by a praise team of vocalists who lead the various parts. I share many of your reservations. As a long-time “song leader,” who also has a degree in theology, I really did not understand the need for the change. Thank you for introducing Zephaniah 3:17 into the discussion. Thanks for reading Michael….yes that is an intriguing verse, to ponder how it plays out in reality, and in the cosmos! I graduated from Bible College in 1967. One of the more useful courses I took one summer was “pastoral conducting.” I say more useful because for 30 or so years after that, I led singing in most of the churches my wife and I attended. And I was “song leader.” “Worship leader” came in, in my experience, with the jettisoning of the old “traditional” hymns. I grant that I’m probably prejudiced, but it seems to me that most “worship services” today are about the singers and the congregation and not about God. BTW, I’m Baptist. That is a fairly astute comment! Thanks for reading. Keeping the focus on Christ is definitely the challenge….and it is a shame that we often get in the way of that, especially in the music department. Blessings! Thanks Skye, many blessings to you! 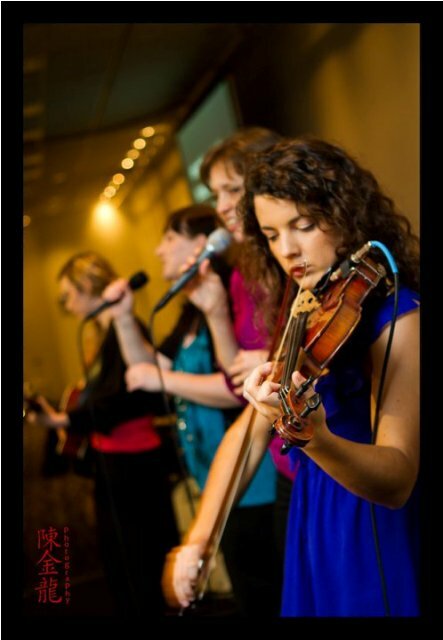 You may enjoy this exploration into the topics of worship and singing, shared from my blog. I think the term “song leader” is appropriate for the person leading congregational singing. Churches with a “worship leader” position usually have him not only leading singing but also reading scripture, leading responsive reading and offering prayer. He may even lead the transition as the pastor comes on for the sermon portion of the service. Worship should be a daily activity for all Christians, but a person could lead worship during a particular service. What I don’t like is the notion that we worship together for 30 or 45 minutes then a preacher speaks. In some churches “the band” is featured prominently at center stage and the pastor has been pushed to the side.